Mortar Usage is reduced due to the massive size of AAC Blocks as compared to red bricks for which the no. of joints is reduced by 65% and hence the usage of mortar is reduced by 60%. Due to AAC Blocks, Plaster Usage is also reduced as AAC comes in precise and accurate dimensions unlike red bricks and so the blocks after installation offers the wall without any undulation. So a thin layer of plaster is also sufficient to plaster the wall. This saves the plastering cost by approx 35%. AAC Blocks gives faster Construction due to its 7 times bigger size than red bricks ,the ease of laying with 1/3 no. 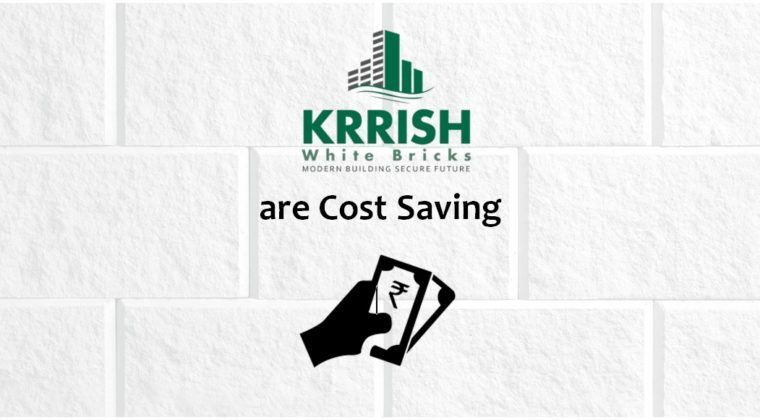 of joints ,precise dimensions and no curing requirement ,offers time saving up to 30%.By the above factors your project is completed within a much shorter time frame as compared to red bricks. Money borrowed or invested in a project has its financing cost or opportunity cost. The sooner the project gets completed the sooner it becomes ready to yield utility thus saving your financial cost i.e. interest charges.